On Friday, I went to a phenomenal training. It was at a facility called Have Dreams in Evanston, IL. I have been to several trainings facilitated by the staff at Have Dreams, and every single one has been extremely valuable. I always leave these trainings excited to implement a fresh set of ideas and activities into my classroom. An added positive of the trainings at Have Dreams is that the staff is cognizant and respectful to the needs of people with autism. They aren’t trying to cure autism: Rather, they are trying to provide a bridge between the neuro-typical worlds and people with autism who are struggling to live in it. 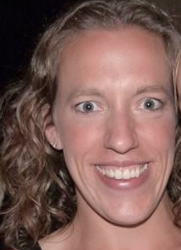 The training was an unofficial run-down on the TEACCH Transition Assessment Profile (TTAP). If you teach high school students with developmental disabilities, you know that there are few meaningful assessments for students with autism in the age range of 14-22. The TTAP includes scales from three different settings: home, work/school, and from the test itself. Each scale covers items from six different areas: vocational skills, vocational behavior, independent functioning, leisure skills, functional communication, and interpersonal behavior. After introducing these different areas, the trainer made an interesting point: People with significant cognitive disabilities arenot unemployed or fired because they lacked enough academic skills. Instead, individuals get fired due to poor interpersonal communication or behavioral difficulties/aggression. Having had several students get fired from jobs, I knew he was exactly right! As a teacher, this was something I knew from experience, but it was nevertheless an eye-opening point. I need to spend more time on pro-social, positive behavior and less time on increasing students’ reading levels or math skills. Unfortunately, this is often in direct contradiction with parent wishes, so it is important to start to have honest conversations about post-secondary opportunities and expectations earlier in their high school careers. Using this test when a student enters high school will be a good jumping-off point for that conversation. The test itself includes different items that are measured on a scale of pass, emerge, or fail. Scoring criteria to choose pass, emerge, or fail are included in the test manual. Specific test items include things such as telling time, following picture directions, working without supervision, working through an office distraction, and demonstrating appropriate eating habits. We covered both positives and negatives of the assessment during the training. A negative is that the test costs money. A full kit costs almost $500, although many of the materials can be teacher-made with the right mix of creativity and motivation. You can order the test here: http://teacch.com/publications/teacch-transition-assessment-profile-ttap-kit-and-manuals. If you live in the Chicago area and you are interested in attending a training session at Have Dreams, you should definitely do so! You can find out more information about their training opportunities here: http://havedreams.org/ . I recommend starting with the TAP 1 – Basic Elements of Structured Teaching training. I can tell when a training is good because I leave with a head full of ideas that I want to implement right away! Here are a just a few of the things that inspired me during this last training session. 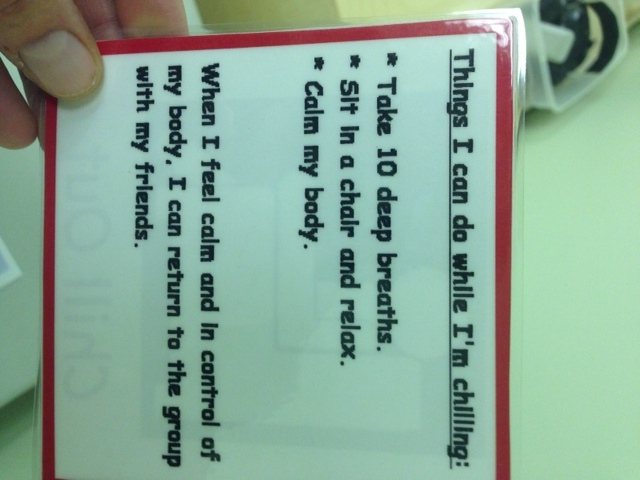 The front of this card says “Chill,” and the back has cues for the student to use to help self-soothe and come back to the group. 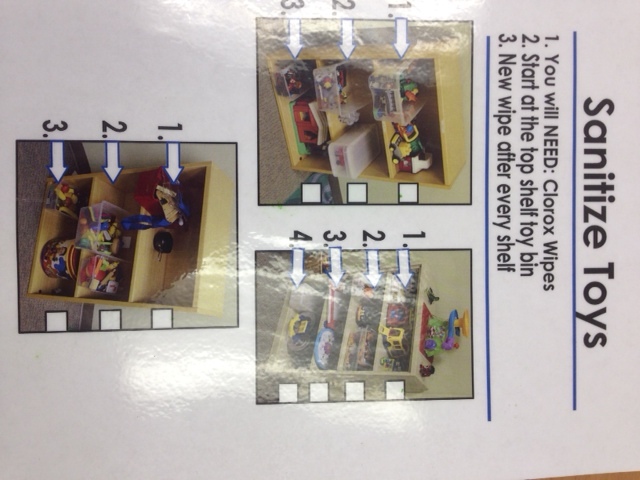 Directions for a student with autism to follow to complete a sanitizing job. I love the pictures and how each one goes top to bottom, with a check box on the right for the student to check the shelf off. Social story on knocking before you enter the bathroom, even if you are trying to complete a job. 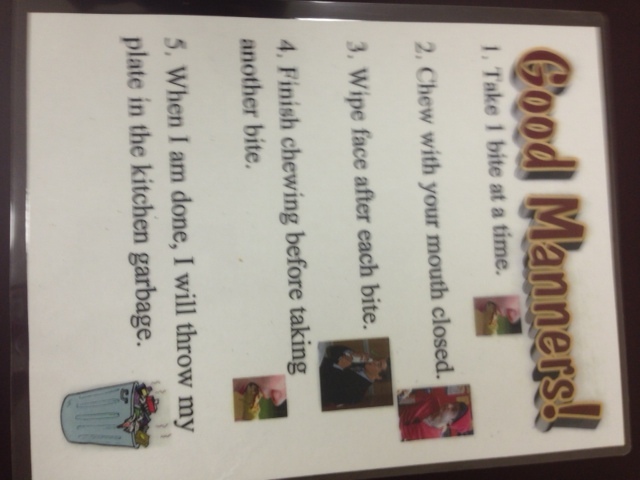 Visual cues to help students remember to use their manners! And, last but not least… My favorite! 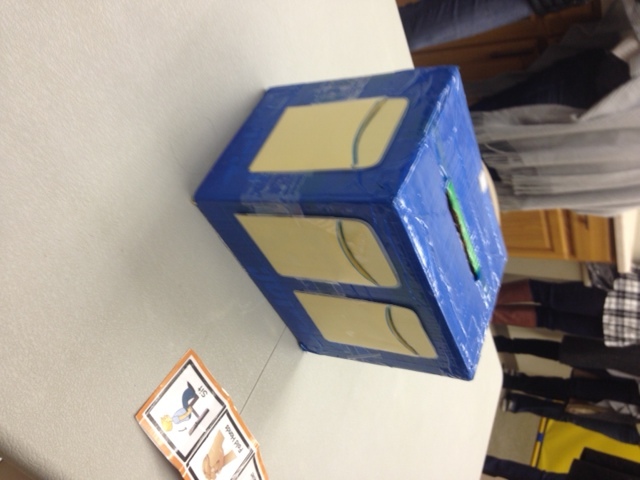 This is a ‘conversation box.’ Take any box and cover it with a solid duct tape. Add library pockets around the outside and a slit on the top. Each library pocket contains a question or a conversation starter, with choices to answer the question or comment on the back. 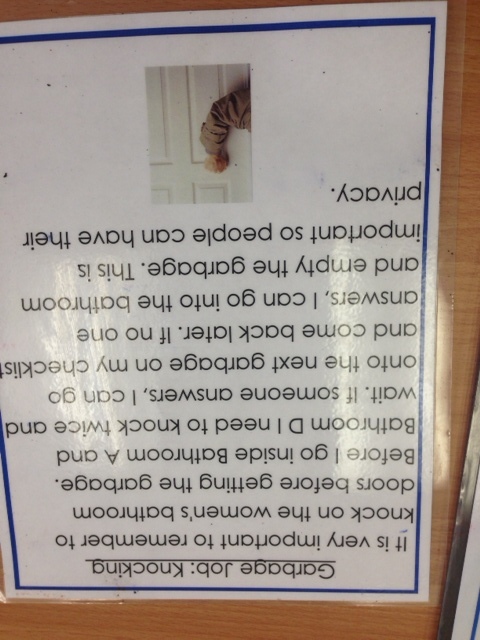 Students can answer independently or use the choices on the back as a support. When everyone has answered the question, drop it in the slit on the top and move on to the next one! Make sure that you can open either the top or the bottom to get the cards out when you are done!